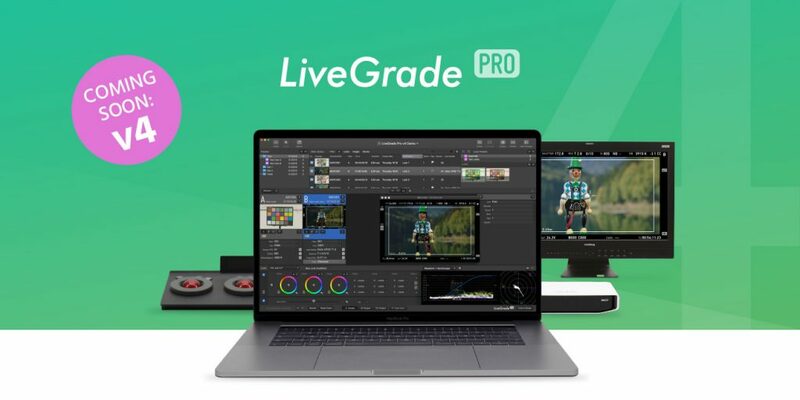 Today we are releasing a new major upgrade to LiveGrade Pro. The brand new version 4 introduces an innovative and automated way for managing and organizing camera metadata. Live camera metadata: Capture and monitor live camera metadata coming from one or multiple cameras. Shot Library: Organize camera metadata in combination with look information in the new Shot Library, and export as clearly arranged shot reports. Native video scopes: Analyze live video, frame grabs and recorded clips with LiveGrade Pro’s native video scopes, including waveform, vectorscope and histogram. Keyboard shortcuts: Define custom keyboard shortcuts for any action in the main menu. LiveGrade Pro v4 is a free upgrade for all subscribers of LiveGrade Pro! It comes as a new DMG, that can be downloaded here. Sign up for our newsletter for updates on our products and all those tips and tricks to get more out of them.